How can you do 3D design in a desert? How can you improve your 3D prints with a little water? How can 3D printing help bring clean drinking water to 41% of Kenya’s population currently without it? This edition of 3D printing news sliced features stories from Google, Siemens, Re:3D, Stratasys, SLM Solutions, Aether, Inert, the University of Maryland, UNC-Chapel Hill, Regenovo, GoProto, TriMech, Geo Kingsbury, Joseph DeSimone, BigRep, Thought3D, Carbon, Ultra Red Technologies, Grohe, AddUp, and Westfall Manufacturing. A. James Clark Hall, home to the University of Maryland bioengineering department, has opened to students. The 184,000 square foot building, will be home to bioprinting facilities and a 3D printing lab for prototyping and fabrication. 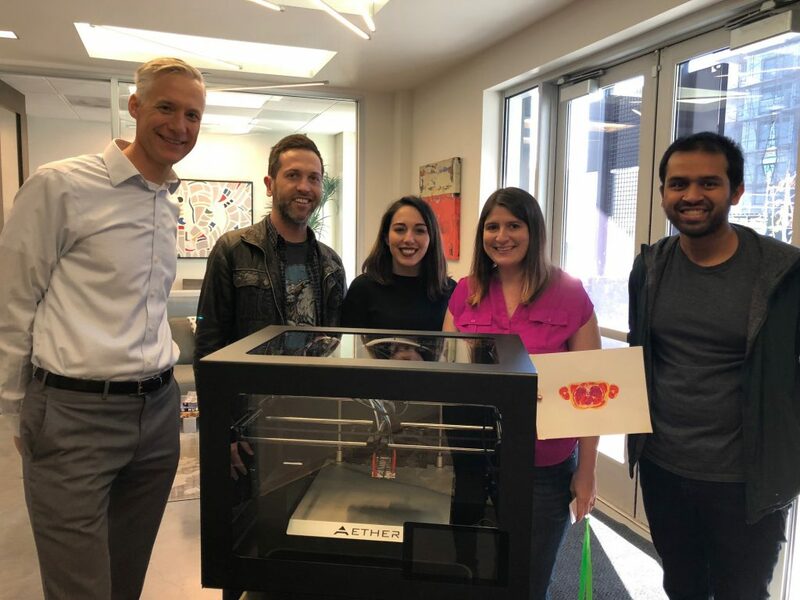 Aether, a San Francisco-based biomaterials and bioprinting company now has a residency at Johnson & Johnson Innovation’s JLABS, a facility that is part of the University of California’s QB3 life sciences incubator. 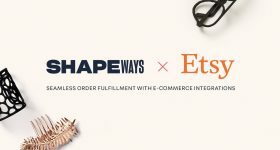 Aether will use the residency to accelerate the launch of its “rapidly expanding suite of disruptive technologies” including the Aether 1 multitool bioprinter. 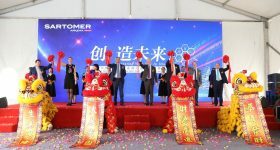 Regenovo, a tissue engineering company set up by researchers from Hangzhou Dianzi University in China, has launched its latest bioprinter, the Bio-architect X. The 3D printer is capable of manufacturing tissue and cartilage material and will play a part in the testing of new drugs. The Aether team at the JLAB space. Photo via Aether. Rapid prototyping and custom 3D printing company GoProto, San Diego, has received an International Traffic in Arms Regulations (ITAR) certification, which will allow it to undertake government, military and aerospace projects. 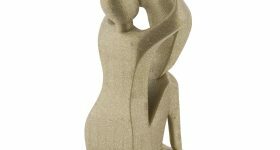 TriMech, a reseller of Stratasys 3D printers and SOLIDWORKS 3D CAD software has been given the “Stratasys Top Reseller in the Americas” award. 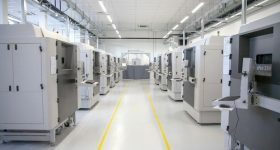 German metal 3D printing company SLM Solutions has been selected as a growth champion for the third year running by data analysis firm Statista. SLM Solutions claimed the accolade for ranking among the top 500 German companies with the highest revenue growth from 2013 to 2016. Geo Kingsbury, a UK based distributor of metal cutting systems, is to add 3D printers to its portfolio. 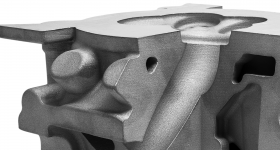 The company is currently the exclusive UK distributor for AddUp, a metal 3D printer manufacturer formed by Michelin and the Fives industrial engineering group. 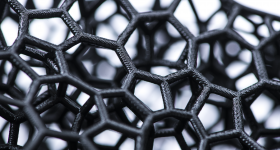 Joe DeSimone, co-founder of CLIP 3D printing company Carbon, has co-invented a nanoprinting process with researchers at UNC-Chapel Hill, Duke University and the University of California. 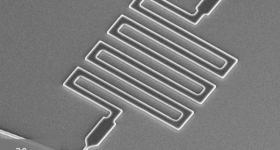 In contrast to 3D nanoprinting processes like two-photon lithography, the technology prints a freestanding structure using a pre-fabricated template. The patent for the process was recently published online and can be viewed here. Google Blocks, a 3D software that allows users to create objects in VR, has launched an update that features new background environments (including a desert at night), an improved snapping function and a range of experimental Google Labs features in response to user requests. Snap a hat on that! The new Google Blocks snap feature. Gif via Google. BigRep and Thought3D are collaborating to bring Magigoo 3D printing smart adhesive to large-format 3D printer market. Inert, a manufacturer of inert gas housing (glove boxes), gas management systems and solvent purification systems, has teamed up with Siemens and added SIMATIC S7-1200 programmable logic controllers (PLCs) and SIMATIC human-machine interface (HMI) color panels to its Inert PureLab HE 4GB 2500 glove boxes. 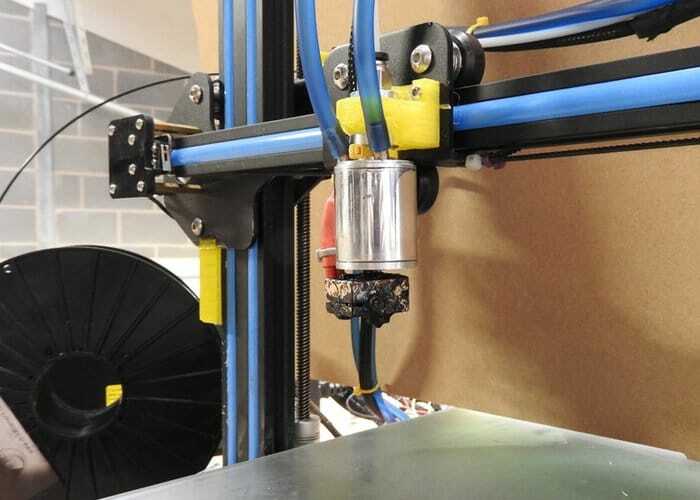 And UK inventor Brian Eaglestone has launched a Kickstarter campaign for a water-cooled hot-end that can enhance the quality of some print jobs. The cooling device has been fully prototyped and is now ready for production once the Kickstarter goal is reached. Eaglestone’s water-cooled 3D print head. Photo via Brian Eaglestone. 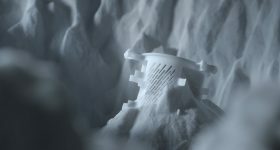 Sanitary fittings manufacturer Grohe is introducing 3D printing to its manufacturing process and will begin using test prints in upcoming projects. Prototypes for Grohe’s earlier flushing system were 3D printed with Stratasys FDM technology, and reduced product development time by 50%. Rhode Island-based Westfall Manufacturing has fabricated a series of small size static mixers by 3D printing patented nylon inserts and attaching them to a pipe. The static mixers will be used in water, oil, gas, natural gas, propane, and biofuel processing. Finally, Ultra Red Technologies, a 3D printing service bureau based in Nairobi, Kenya and a partner of Re:3D is 3D printing a solar-powered desalination device to provide access to reliable, clean drinking water to some of the estimated 41% of Kenyans without it. 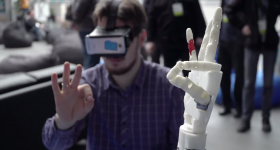 Tell us which 3D printing company made the best impression on you this year. Make your nominations for the3D Printing Industry Awards 2018 now. For more stories from across the world on 3D printing, subscribe to our free 3D Printing Industry newsletter, follow us on Twitter, and like us on Facebook. Featured image shows a 3D printed lithograph from Nairobi’s Ultra Red Technologies. Photo via Ultra Red Technologies.